Long gone are the days when it was acceptable to wear a giant jack-o-latern sweater to school or ghost barrettes in your hair. As we get older we have to come up with more creative ways to ring in the beginning of the holiday season. 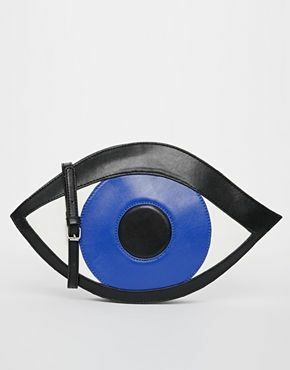 Halloween is all about creepy, ghostly fun and what better way to embrace that than with this Fall's evil eye trend? Get inspired by Kenzo Paris' signature eye and find a way to add a little extra look to your look. Go on, have your Halloween themed cake and eat it too. Click an image to shop away!